It’s finally time. You’ve evaluated the costs and benefits of moving from legacy video conferencing infrastructure to a cloud-based video collaboration service, and you’re convinced. You’re ready to wave goodbye to those hefty maintenance costs and support needs that come with owned infrastructure and embrace a cloud video conferencing service. And you’re in good company, too. According to a recent study by Nemertes Research, roughly 45% percent of respondents are already using the cloud for video conferencing. And those who aren’t, are thinking about how to better leverage the cloud going forward. Before you flip the switch, though, consider the impact on your end users and how you will get them on board with the change. After all, user adoption is the critical factor in measuring the success of a video conferencing implementation and will help drive improved ROI of your investment. The good news is that your user community will still be able to leverage technology that is already familiar, such as Cisco/Tandberg or Polycom systems. These video systems can – and should – natively work with your newly adopted cloud solution, and you can easily register these endpoints to a cloud service with no impact on user workflows. In addition, users will experience even more freedoms, such as self-managed scheduling and hosting and joining video meetings from any device. Supporting mobility, flexibility, and engagement will allow you to achieve the real measurement of success: increased productivity. 1. Why Are We Changing? A simpler way to communicate with external companies — Employees are no longer bound to the confines of their own video conferencing platform. With the right solution, they can invite anyone outside their organization to join meetings using technologies and systems they already know; nothing to install, nothing to change. Easier collaboration from anywhere — In today’s mobile workforce, your employees are probably used to working from home, airports, hotels, and cars. The right tools work where they need to, so there’s no need to be in the office to join (or even run) a meeting. High-quality, reliable video meetings and calls — Employees should not expect any degradation in service if their company moves from an on-premises installation to the cloud. While not all service providers are the same, choose one who can provide a secure, high-quality, reliable service and is supported by an SLA that won’t let your user community down. Also consider answering the question of “why now?” Often, employees do not realize what they’re missing until they’re introduced to what’s possible! Help them understand where your organization is going and how the right collaboration tools will help you get there. Explain how you want to meet the needs of today’s and tomorrow’s workers, and how your new video conferencing service provides flexibility, scalability, and a platform for enhancements into the future. 2. How Can This Tool Make My Life Easier? It’s no surprise that video meetings can improve productivity, build trust, and reduce email clutter. Video can also keep remote workers engaged and connected, building stronger camaraderie among distributed teams. 3. How Will This Impact My Day-to-Day Job? On a tactical level, make sure your end users understand the power of their new collaboration tool and how their daily workflows will change, if at all. For instance, how do they schedule and invite guests to a meeting? Will they need to re-issue recurring calendar invitations with a new meeting link? How many participants can they have in meeting? How can those participants join the meeting? What are the in-meeting tools they can use to manage and have the best experience? Consider having a shared site where employees can find answers to their questions and where to go for help. Sharing resources such as FAQ documents and “how to” guides are a great first step to drive adoption, especially when paired with live or on-demand training sessions. Consider holding “office hours” where a trained customer success champion is available in a virtual meeting room for anyone to join and speak with a knowledgeable expert in real time. First impressions are lasting impressions, so an effective on-boarding journey is just as important as your decision to move to a cloud service. While the transition to a new video conferencing solution can be unsettling for some end users, the right planning and communication can help keep teams happy every step of the way. 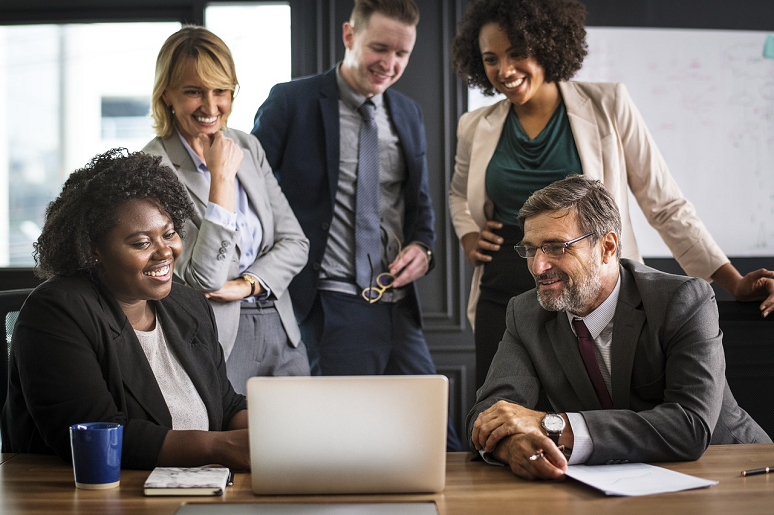 You can help everyone in your organization see the benefits of cloud video collaboration firsthand and, ultimately, discover a better way to work.